The educator and businesswoman has spent 16 years teaching animal science at Lincoln University, and was the founding general manager of Dairy Women’s Network. Lynda also holds governance roles and works as a coach and facilitator. CRV Ambreed’s managing director, Angus Haslett, says the team is pleased to have Lynda join. He praises Lynda for not only bringing an understanding of animal science and the power of genetics to her role but also for her great people skills and the great job she does at spreading the CRV Ambreed story of better cows, better life. Lynda has a long association with CRV Ambreed and the genetics research it undertakes. Genetically superior bulls for a new trait related to the amount of urea nitrogen in milk have been identified and selected by CRV Ambreed. Farmers can now breed for stock with a reduced concentration of Milk Urea Nitrogen (MUN). Lynda says sustainable farm practices and improving the quality of waterways are "hot topics". "Farmers are using many management practices to reduce nitrogen loss, and LowN Sires is another powerful tool. It’s an easy, no additional cost and simple solution to reducing nitrogen leaching on dairy farms," she says. 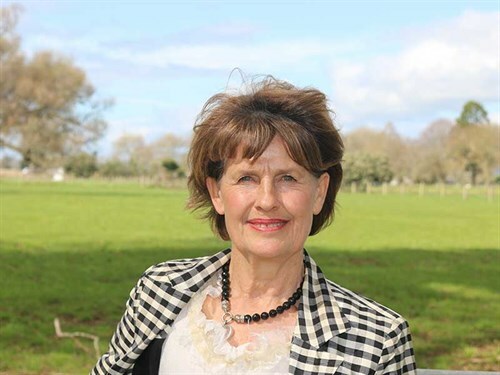 Lynda plans to travel the country to meet large-scale stakeholders, including regional councils, agricultural bodies and companies, and farming trusts and corporations. She looks forward to having conversations and understanding the challenges they face.